Isn't it great when everyone can just get along together? 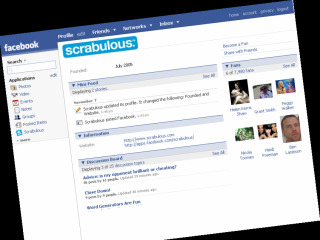 Facebook has had its friend request accepted by Friendster, which has just deployed support for the Facebook Platform. This makes Friendster the first major social network site to embrace both the OpenSocial and Facebook standards for third party applications. The move allows developers working on either the Open Social API (as used by MySpace and Yahoo!) or the Facebook Platform to offer their apps to Friendster users with little extra work. Friendster is positioning itself as an appealing destination for developers as its user base doesn't significantly overlap with other social networks. For example, Friendster has only 22% overlap with Facebook. There's money to be made, too, with developers having the freedom to monetize their applications freely on Friendster: ads are allowed anywhere in an application, including the user profile page. Friendster started in the hot tech town of Mountain View, California but really found its feet in Asia, where it has accumulated over 60 million registered users (out of a total of 80 million). Now that Facebook and Friendster have got all cosy, we're expecting news any day of a Sony/Toshiba collaboration, followed swiftly by a merger of Apple and Microsoft.